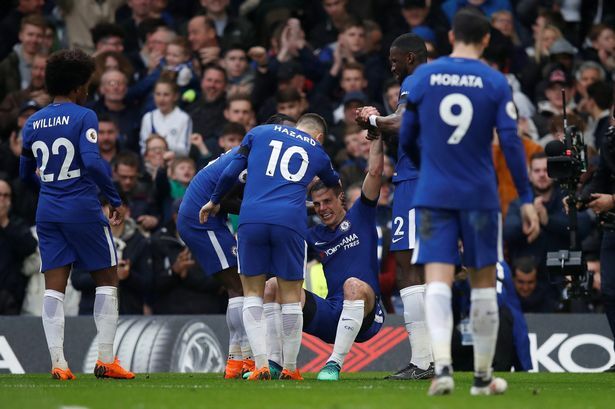 Chelsea are now caught up in a race with Arsenal to finish fifth, after they were held to a 1-1 draw by West Ham in Sunday’s Premier League clash. Antonio Conte’s men needed a win to keep their faint hopes of finishing in the top four alive. They took the lead nine minutes before the interval, after Cesar Azpilicueta found space at the back post to make it 1-0. However, the Blues failed to extend their lead and allowed Javier ‘Chicharito’ Hernandez level the game in the 73rd minute. Chelsea now have 57 points, three more than Arsenal who beat Southampton 3-2 in the earlier game, with five fixtures left. They are also 10 points behind Tottenham Hotspur, who occupy the final Champions League spot.